I am frequently asked the question, “How were you called to ministry?” Most people ask that and expect the St. Paul experience—a light from heaven, thrown off my horse, blind and now I see. They also want a short, sweet, and definitive response. Frankly, I dread that question because mine is not a short answer. Calls are unique to each person, and in no way should a woman question her call because it does not look like the calls her male colleagues have received. I have been troubled by conversations that limit one’s call. Such as, one is only called to ministry if the only purpose is local church pastoral ministry. Some ordination boards have refused ordination on that premise. However, a march through the scriptures and church history gives us many examples of calls to ministry that are far broader than only local church ministry. There is the long tradition of being called as an “educator for the church,” or that of a “spiritual director,” or the early cloisters of “pray-ers,” or that of a “writer of theology,” which influences enormously. Then, of course, there are the more traditional calls to be church planters like Junia and Lydia, evangelists like Phoebe Palmer, or Advocates and Preachers like Catherine Booth, and then certainly the many marvelous pastors and leaders through the ages and up to now. But one of the issues that continues to be a stumbling block to many is that of women with power and authority. In the Wesleyan tradition, we take great joy in being a people who have promoted and ordained women for over 100 years. But, at the same time, we have become enculturated with the notion that women can only serve at certain levels. Subconsciously, it has been difficult to grapple with the notion of women with power and authority—yes, power and authority over men! Oddly enough, this is not only in the church but within society as a whole. It is at this juncture that I would like to imagine the church taking the lead over society. We value the gifts and graces of both women and men and find that men and women can work together seamlessly. This is only possible through the power of the Holy Spirit. Achieved Power. This is given to us by accomplishments. If used wisely it builds confidence in the leader to advance to future goals and meet them. But if achieved power is used to promote self-interest, it soon degenerates into arrogance and failure. Referent Power. This is built on proven character and tested integrity. It is referent power that will determine our legacy. With the mind of Christ, we will empty ourselves of the power ascribed by tradition or achieved by success. But we will actively seek holiness of life with its power to influence those whom we lead. Ascribed power can be conferred instantly. Achieved power takes longer. Referent power takes a lifetime. As we look at our “call,” we find that it is following God where He leads. Many times I have been tempted to put my “call” in the box that I think best fits what others think it should be and limit it. However, it is about “empyting ourselves” as Christ did. At this juncture we will see power and authority as “emptying ourselves” in whatever place God calls us. Yes, many times fearful and uncertain of our abilities, but assured of His presence. 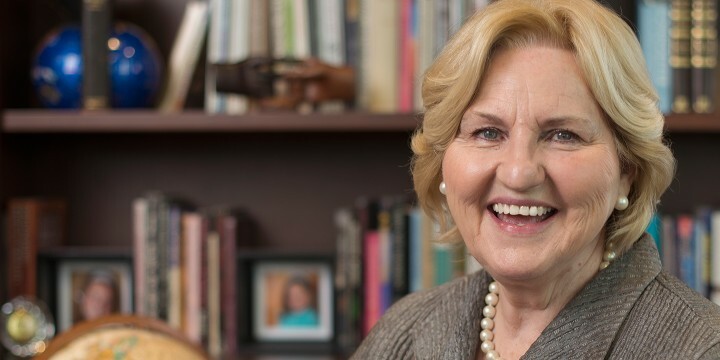 Jo Anne Lyon is a General Superintendent Emerita and Ambassador of The Wesleyan Church. Dr. Lyon holds a Masters Degree in Counseling, continued graduate studies in Historical Theology, and has been granted five honorary doctorates. She has written several articles and publications, including the book The Ultimate Blessing, and has served over 30 years in Pastoral Ministry. She has been Adjunct Professor of Church and Society at both Indiana Wesleyan University and Asbury Theological Seminary. As the founder and CEO of World Hope International, Alexandria, VA, she directed the faith-based relief and development organizations into over 30 countries to alleviate suffering and injustice.